A 1918 edition of a series on "BRITISH ARTISTS AT THE FRONT" ("Country Life") is dedicated to the works of Paul Nash (1889-1946). There is an introduction by Jan Gordon, writing under his pseudonym of John Salis. 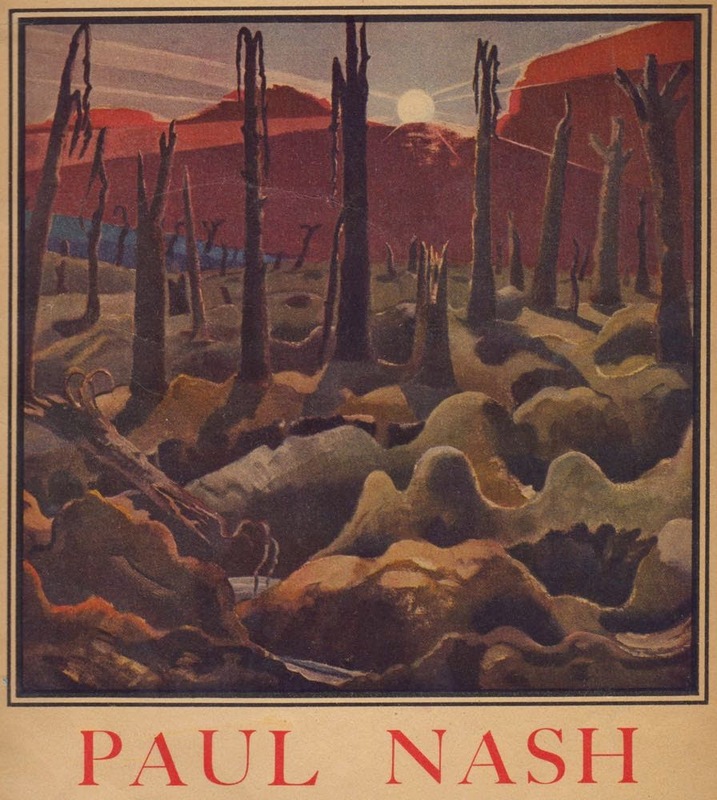 The cover shows Nash's painting, "Sunrise: Inverness Copse," purchased for the Imperial War Museum. "Inverness Copse, through which the famous Ypres-Menin road runs. North-West of Gheluvelt, was one of the most stubbornly contested patches of ground along that much battled highway. A quite appreciable portion of its present surface soil has walked the earth in Germany, Great Britain or Australia." "Mr. Nash sees nature, not for its poetic sensuality, but for its poetic truths. Hitherto painters have seen landscape merely as a background ; the early landscapists as a background for humanity, the impressionists as a background and mirror of the sun, Corot and his school as a background for a delicate sensuality, Turner and his followers as a panorama of air. They do not seem to have perceived the insistent reality, the displacement, of all Nature ; they have gazed upon her through veils, as a Turk gazes upon his houri. To me Mr. Nash seems to have drawn the veil aside. And it is precisely this clearness of understanding which makes Paul Nash's war pictures so vividly engrossing. It is not possible to paint truly how this war has swept man, because horror will not permit this truth to be told. It is possible to depict the devastation of Nature, because partly we cannot understand the full horror, and partly because through it we may come to a deeper realisation of what the catastrophe may mean to man. But the artist who will paint this must be no mere emotionalist ; he must grasp, either by keenness of intellect, or by profound instinct, what Nature has suffered. Mr. Nash joined the Artists' Rifles at the outbreak of war. 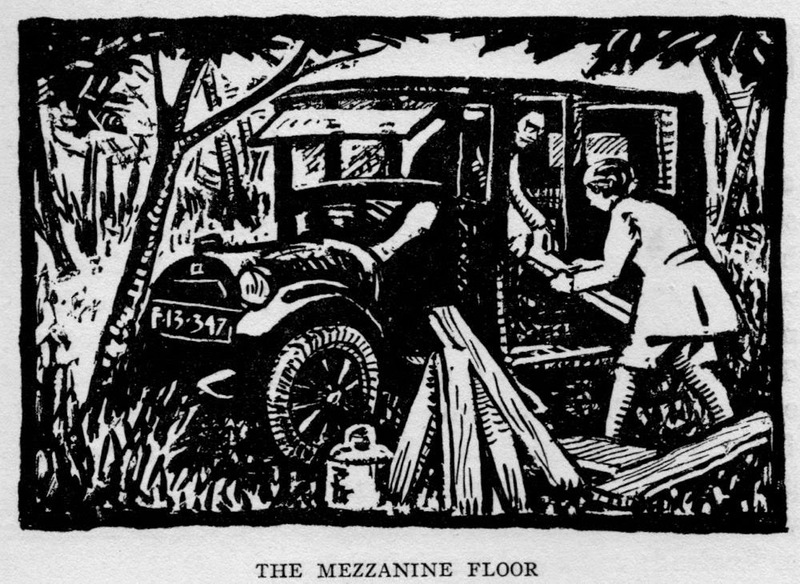 He was for a time Mapping Instructor - amongst his colleagues being Maresco Pearce and the late Edward Thomas - but he was commissioned later in the Hampshires. The war, which has had the effect of numbing most men's brains, awoke his to new realities ; he saw the torn soils of Flanders, and in 1917 showed a series of sketches - executed partly in the field, partly in Hospital. The artist who could understand luckily did not remain silent. 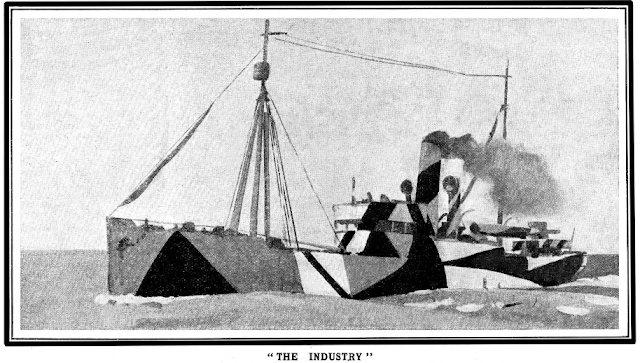 He became one of the official British Artists and was sent to the Front. His drawings are a full record of what war means to Nature. These drawings seem torn from the sulphurous rim of the inferno itself. I know no other artist who could have made them." More on Jan Gordon's writings on war art can be seen here.